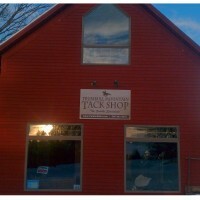 You’ve saved your money, done your research, ridden in a bunch of different saddles, and have finally found the one that works for you and your horse. It wasn’t inexpensive, and you expended a great deal of time and effort, so you’d like your investment to last. The good news is that a quality saddle can be with you for many, many years if given the proper care. But what constitutes “proper care”? While there is a lot of conflicting views out there regarding soaps, conditioners and oils, two things are pretty much universally agreed upon: your saddle needs to be kept clean, and needs to be conditioned. Ideally, you should wipe your tack down with a damp cloth after each ride. This will not only keep your tack cleaner, it will also allow early detection of any problems, like loose stitching or excessive wear. Do pay attention to your girth billets and the stitching that holds them to the nylon webbing. We have seen some billets that have been very unsafe. I’m not that conscientious, but I do clean my tack at least once a week, with a “take everything apart” cleaning every couple months. For everyday cleaning, I use warm water; if I need soap, I use a bar of castile. For really dirty tack, I like Effax or Leather Therapy cleaner. In the past, I used glycerine soap with fine results. The big point here is to be sparing with the soap and water: use just enough to remove the dirt – don’t saturate the leather. And even if the dirt’s really thick, don’t use abrasive pads – they can mar the leather’s finish. A piece of terrycloth and some “elbow grease” are a big help with dirt jockeys. Tanning processes have changed over the past few decades, so some of the older tried-and-true rules no longer apply. For example, many companies no longer recommend oiling your new saddle. Black Country’s vintage leather doesn’t require oiling, and nubuck leather shouldn’t be oiled or conditioned at all – just cleaned with soap and water, and buffed with a dry sponge to bring the nap back. 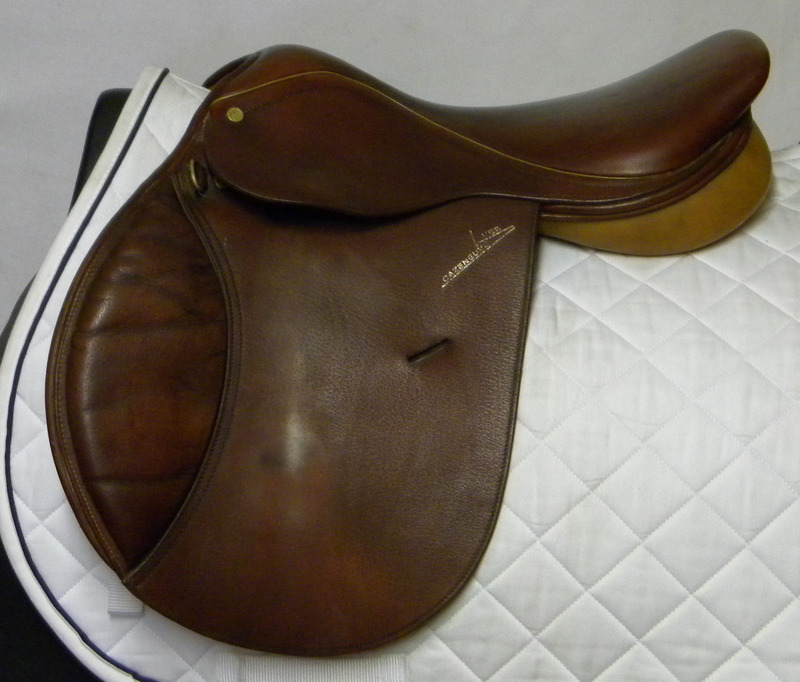 If you’re in doubt, check with your saddle’s manufacturer and see what they recommend. Failing to condition frequently enough can dry the leather and make it prone to cracking; conversely, over-conditioning (particularly with a conditioner with a heavy oil content) can weaken and stretch the skin’s fibers, which will make your leather limp and floppy. Either will take years off the useful life of your saddle. How frequently you condition will depend on the type of leather used in your saddle, how often and in what conditions you ride, and the climate and weather. Some of the harder-finish leathers (like Passier’s) take longer to break in, and proper conditioning can help the process. Black Country’s vintage leather, on the other hand, is pre-oiled, breaks in quickly, and probably won’t need as frequent conditioning. If you’re in a dry climate, or if you log a lot of miles in the rain, you’ll probably want to condition more frequently than someone in a humid climate or someone who is a “fair weather” or mostly indoor rider. It’s hard to go wrong with a good conditioner. I like Passier’s Lederbalsam, but any of the well-known brands (Effax, Stubben, Leather Therapy, etc.) are equally good. Apply a thin coat to ALL leather parts of the saddle: both sides of the flaps, jockeys, buckle guards and billets, panels (bottoms, too) and gullet cover. If this disappears immediately, give it another thin coat; if the conditioner isn’t absorbed in a minute or two, wipe off the excess and don’t apply any more. If your new saddle is wool-flocked, you’ll need to have the flocking and saddle fit checked after about 10-20 hrs. of riding. This is a process you’ll need to go through periodically – I always compare it to changing the oil in your car – since wool will compact and conform to you horse’s back. We recommend that you have the fit checked every 6-12 months, depending on how often you ride and how much your horse’s back changes. Keep in mind that at some point, you’ll very likely need to have all the wool removed from your saddle and replaced with new wool. Your saddle fitter can let you know when it’s time. Your saddle should be stored on a saddle rack – either commercially produced or homemade – whenever possible. Use your saddle cover (or a large towel) to keep dust from collecting, and to protect it from the barn cat’s claws. Tipping your saddle up on the pommel is fine occasionally, but habitually storing it like that can wrinkle the flaps (especially on a close-contact or all-purpose saddle), and can scuff up the flaps and pommel. Don’t stack saddles, as this can cause divots in wool-flocked saddles where the panels rest on the cantle of the saddle below. Run your irons up rather than flipping them over the seat – this will keep the jockeys lying flat (and for long-term storage, remove your irons and leathers completely). Keep your saddle in a dry (and if possible, temperature-controlled) area – no damp basements. Damp storage conditions encourage the growth of mold and mildew. While tacking up, be sure your saddle is out of reach of your (or any!) horse. A curious nose can send your saddle crashing to the ground (which can scuff or tear the leather, or even crack the tree) and keep it from collecting tooth marks. Always mount from a mounting block (or equivalent). While it’s a good idea to be able to mount from the ground if necessary, making a habit of it is tough on your horse’s back, the saddle’s flocking, and can eventually twist the tree.